Diving through 9 meters (30 feet), then to 12 meters (40 feet), further to 15 meters (50 feet), and finally to 18 meters (60 feet) of silty azure blue salt water, you see her lying there – like a wounded bird, one of her wings fractured and one of her engines gone. Did enemy fighters blow away her engine? What exactly plunged her from the tropical sky more than 40 years ago? The truth is, she was a B-25, an Allied workhorse of World War II in the Pacific. You don’t have to stretch your imagination too far to see her in her original state, ready to fight again. Her crumpled nose houses two machine guns – still stacked with bullets but now covered with hard coral, algae, and crimson red gorgonians. The cockpit escape hatch sits open, slid back as it had been on that fateful day in 1943. Clearly the pilot had cleverly ditched his bomber in a narrow shallow strait between Wongat Island and mainland New Guinea with a purpose. Did the crew swim to the island? Did Japanese forces capture them? “How old were these men? Twenty? Twenty-one?” you wonder as you watch parrot fish dine on a coral incrusted machine-gun barrel. Two angelfish casually glide through the bomb bay doors while translucent shrimp dance their way over the rusty face of the altimeter gauge. Why only imagine this scene when it could be YOU?! Wreck Diving in Subic Bay Philippines is second to none!!! 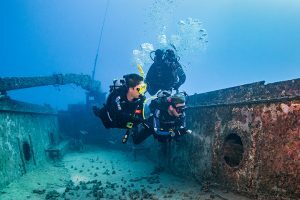 Sign up for a PADI Wreck Diver Course at the Arizona Dive Shop in Subic Bay Philippines today and see where your underwater adventure takes you! 1. 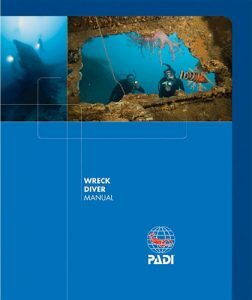 Certified as a PADI Adventure Diver or have a qualifying certification from another training organization similar to that of a PADI Advanced Open Water Diver. Verify student diver prerequisite skills and provide remediation as necessary. 2. Be at least 15 years. 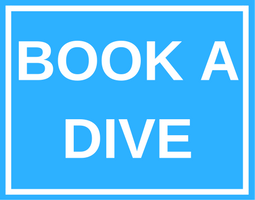 Contact us now to start your Wreck Diving Course with Arizona Dive Shop Subic Bay today!